Twenty-one Stormy Petrels and guests were treated to a talk by Sonia Fetherston, BSI who happened to be in Vancouver. 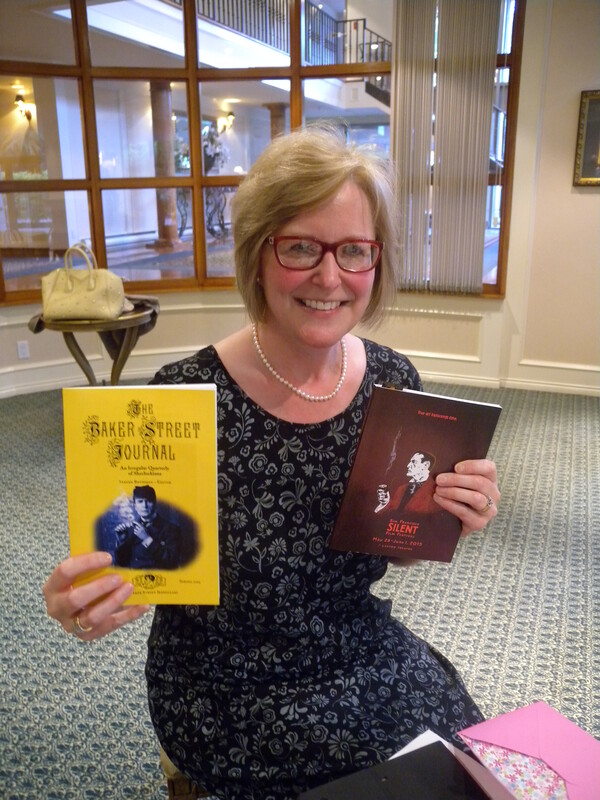 We were very delighted when she accepted our invitation to discuss the recently-restored silent William Gillette movie. A film that would impact Sherlockians 100 years later! Sonia had been to the debut screening of the restored film last May in San Francisco and was able to inform us about how it was made, lost, found and painstakingly restored. (The film was not found in one reel but several and had to be put into sequence. Also,the title cards were originally in French and had to be translated). The movie, based on the play “Sherlock Holmes” written by William Gillette and featured Gillette in the title role who had played Holmes 1,300 times on the stage, but this was the only time he played Holmes in film. Sonia was able to answer many questions, and her enthusiasm was definitely contagious! Several of our group, who were not familiar with William Gillette’s work and his impact on the Holmes image, were all very anxious to see the movie. We thank Sonia for a wonderful evening! Hopefully we will see her again! Special Guest Speaker – on William Gillette Film!